“It’s like rain on your wedding day” … queue Alanis Morissette. 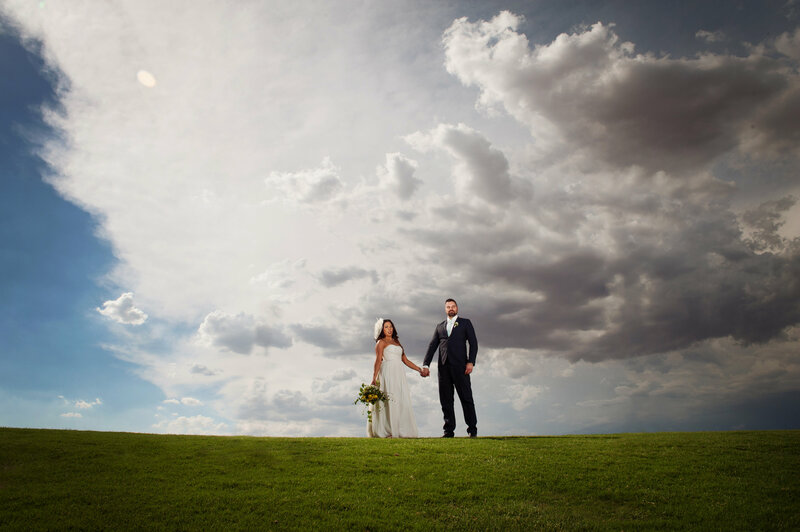 We have come off of an unusually rainy four days in Phoenix and, if you asked us, we’d say that rain is undoubtedly the number one fear of any bride. But is rain getting a bad rap? Some cultures believe that rain is a good sign on your wedding as it symbolizes fertility and cleansing but in the US, rain causes tears and often increases already high-stress levels. With that in mind, here are some tips for creating a rainy day backup plan. Create a backup plan early in the planning process. If you are working with a planner, pat yourself on the back for making a smart business decision because your planner should have already created this plan with you. If any crucial part of your wedding is outdoors (ceremony or reception) you will want to discuss rain options. If moving the event indoors is not an option, call the local rental company to price an appropriate size tent or canopy. Permits may be required depending on the laws of your town or city so be sure to ask early on as they take time to acquire. Consider your photography locations. Depending on where you live, a stormy sky may be a photographer’s blessing. In Arizona, Mother Nature tends to show up in a huge way bringing dark billowing clouds as her companion. She makes a grand entrance and paints a canvas that is better than you can imagine. If outdoor shots are completely out of the question, a good photographer will already have a plan and alternate locations, but they may not be ideal to you, the bride. A hallway may not be ideal when you had garden photos in mind but trust that your photographer will capture the artistic shots you desire. Guest comfort. We had a bride a few years ago that said “come hell or high water, I am going down that aisle outside as planned!” I admire her fire and will admit that the high winds created amazing photos of her veil floating parallel to the ground as she walked down the aisle to greet her groom. What she didn’t consider was the comfort of her guests who braved cold temperatures with high winds to bear witness. Consider providing wraps or umbrellas to make the experience more enjoyable. After all, they want to be smiling, not shivering, when you are pronounced husband and wife. Hair and Makeup Artists. If you have a glam squad taking care of hair and makeup services for you and your wedding party, you may want to ask them if they can stay longer to manage makeup touchups or tuck in flyaway strands of hair post ceremony. This will leave you feeling fresh and beautiful before your grand entrance. If they are not able to stay, some strategically sprayed hair spray, softly smoothed with the cold metal can, will suffice. Remember the reason for the day. Rain is water. Yes, it is unfortunate but it isn’t going to ruin your day. Keep a positive attitude and know everything will work out. Your bridal party and your guests will feed off your attitude. Keep smiling and remember the real reason is to marry the one you love and, at the end of the day, that is all that matters.